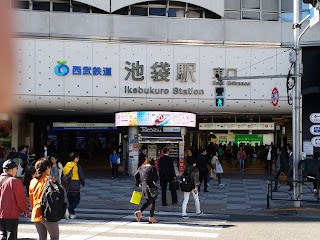 On the first of November I visited Ikebukuro (池袋). 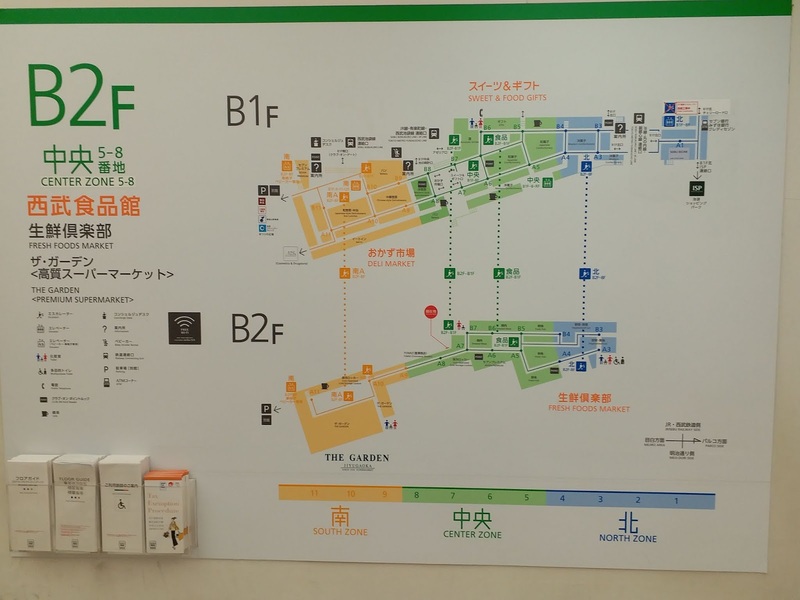 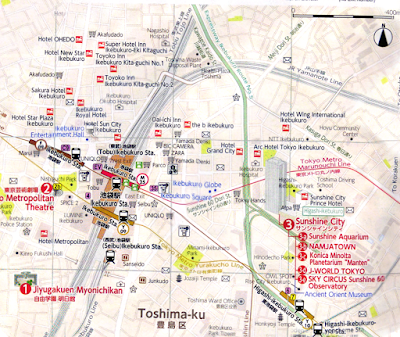 As shown in a map of the Tokyo Travel Guide copied below, there are at least three different train stations of 3 different Metro lines that stop at Ikebukuro, respectively they are the F09 (Fukutoshin line) （副都心線）, the M25 (Marunouchi Line) （丸の内線） and the Y09 (Yurakucho Line) （有楽町線）. 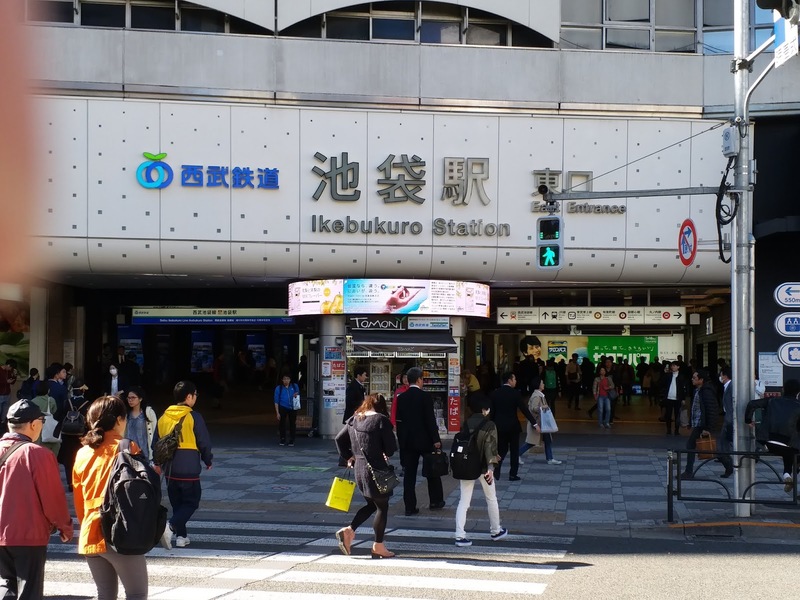 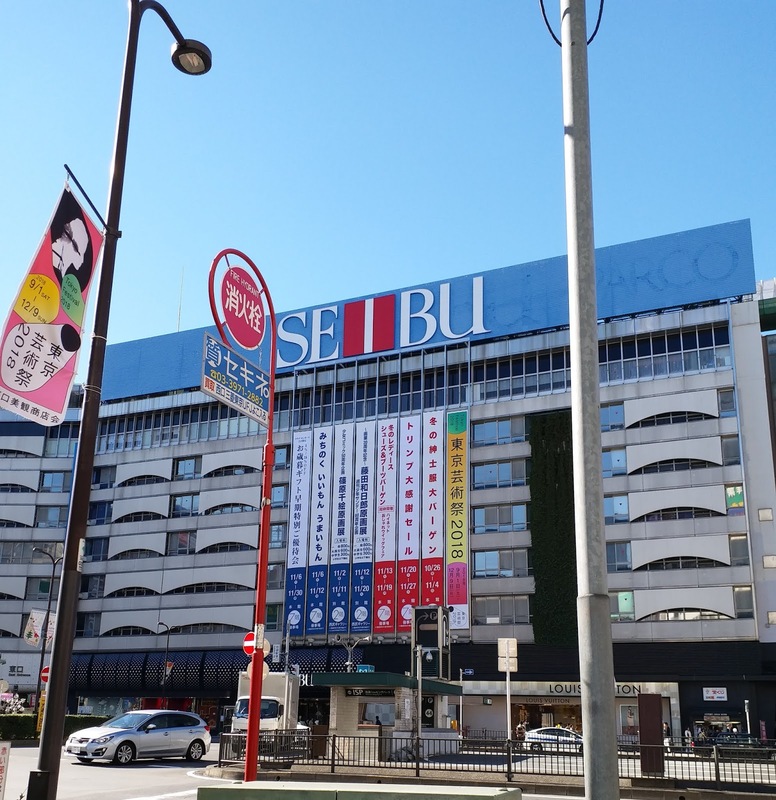 So, I think Ikebukuro is one of the most conveniently located district in Tokyo. 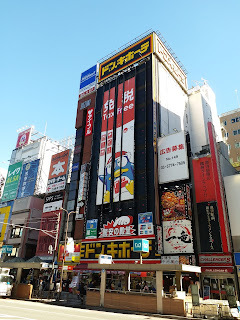 In Ikebukuro, one popular tourist attraction is the Sunshine City, as introduced in the Tourist Guide. 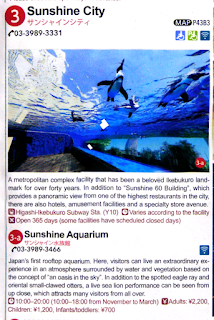 The Tokyo Travel Guide highlights the Sunshine City as a good tourist attraction. 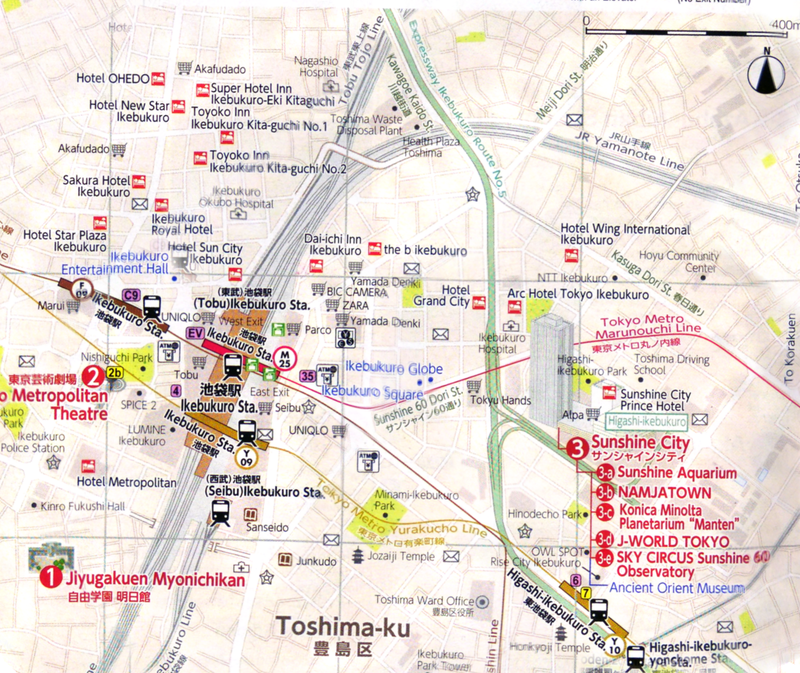 It is located at the east of the Metro stations. Inside this City there is the Sunshine Aquarium. 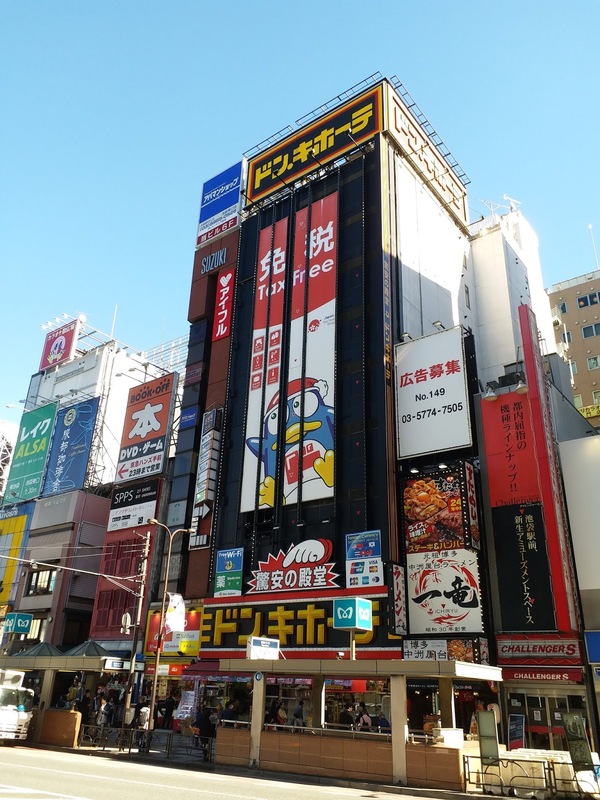 My feeling is that Ikebukuro is a busy shopping district with big department stores. 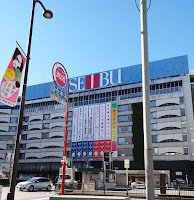 I visited the Seibu department store on that day. 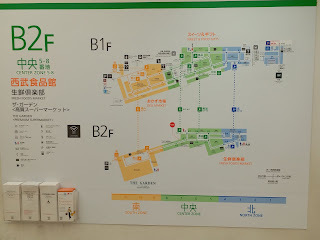 I am particularly interested in visiting its basement floors as there was a supermarket and a fresh food market with lots of merchandise on display. 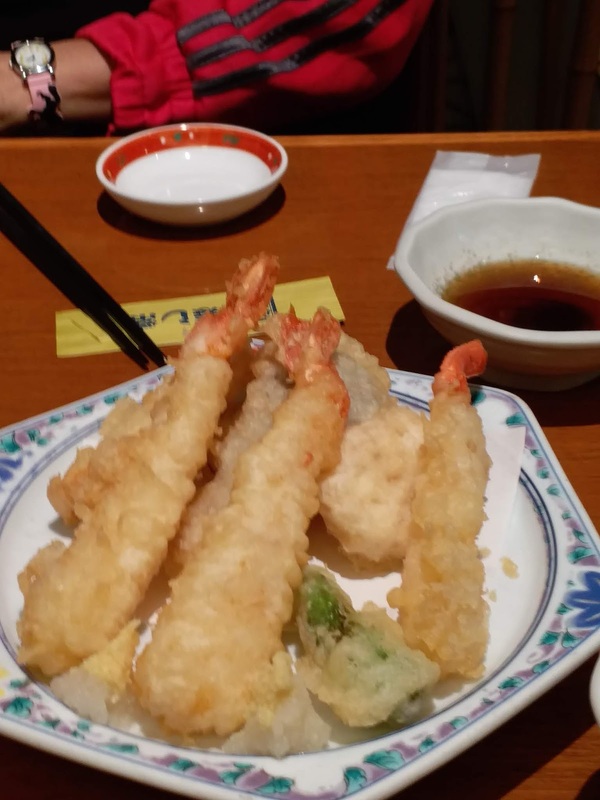 Leaving the Seibu department store, I visited a Japanese restaurant to have some snacks and I enjoyed the shrimp tempura very much. By the way, it is interesting to note that there were three McDonald’s in the vicinity. 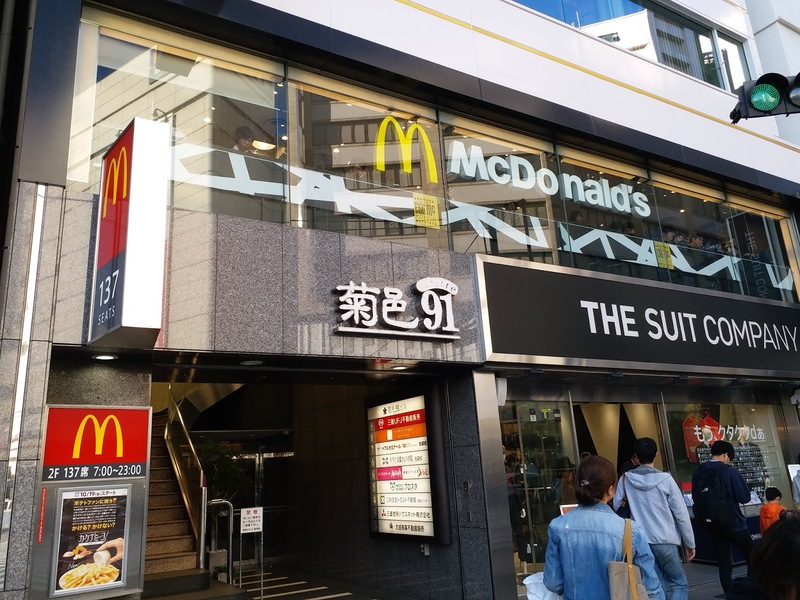 So, if you want to date someone at a McDonald’s, be sure to say which McDonald’s is in your mind.